Ethan's condition did not improve during the day on Monday. His surgery team grew more concerned as the day went on without showing signs of improvement. So, at 6:45 PM, Monday Night, Ethan headed to the OR for his fourth abdominal surgery. During the exploratory procedure, Ethan's surgeon found and corrected the obstruction. This obstruction was different from all the others and Ethan is now recovering in the PICU. We are very thankful for Ethan's very skilled Medical Team – they ROCK! Ethan is now going to need rest and time to recover and begin nutrition and feeds again. As much as we are trying to take a "conquer all" approach, we are quickly realizing our limitations and will be reaching out soon for help in many different areas. 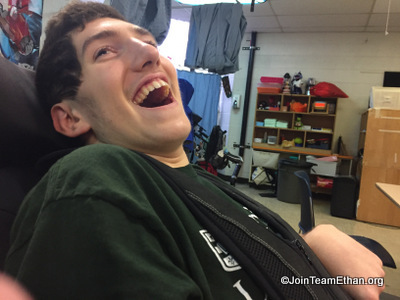 We will keep Team Ethan updated on Ethan's progress.